David Simon – (b. 1970) is a young and dynamic sculptor, originally from New York and graduated from Rhode Island School of Design, Brown University and the New York Academy of Art’s Graduate School of Figurative Art. 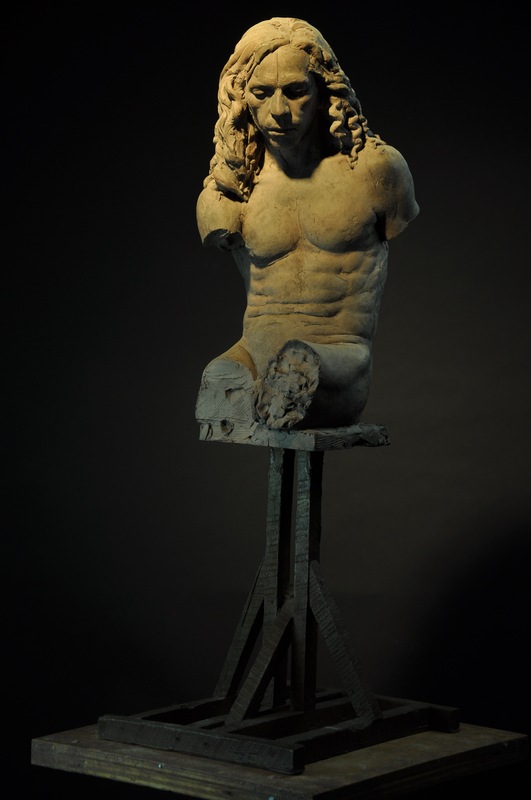 He participated in the European Honors Program and spent years sculpting in Italy. 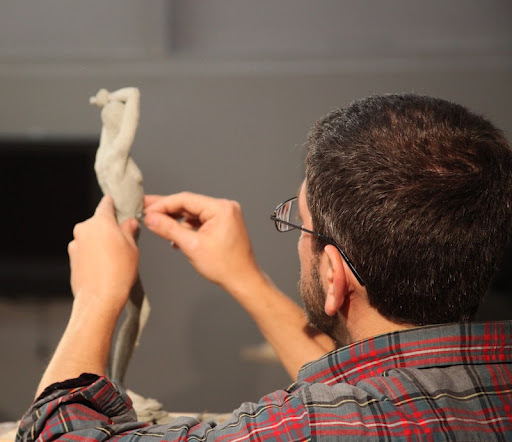 In addition, he has taught sculpture for more than 15 years in New York and Los Angeles. In 1997–1998, David oversaw the Leonardo da Vinci Horse project, a monumental, twenty-four foot high bronze sculpture that was presented to Italy by America’s Leonardo da Vinci Society. Earlier, he executed a thirty-five foot bronze sculpture of Queen Catherine of Braganza, now in place in Portugal. On another creative path, David has had an active career in the film industry creating concept maquettes and sculpting full scale animatronic heads for the character “Alexander” (the goat) in Where The Wild Things Are, creating special makeup effects for “Abe Sapian” in Hellboy II, creating special makeup effects for The Silver Surfer in Fantastic Four: Rise of The Silver Surfer, and creating concept maquettes for Watchmen. This work and talent in film brought a sense of drama from these experiences to his current work in sculpture.